Plantation style house designs were derived from the French Colonial homes of the 18th and early 19th centuries. The rise in wealth from cotton in pre-Civil War America gave way to grand homes built on plantations throughout the South and Mid-Atlantic states. The most defining element of these homes are their expansive porches with balconies above, while using stately Greek columns. Arched windows and French doors accessing the outdoor living spaces are also common features of these homes. Luxurious Plantation style house plans recall the glory days of the South and their opulence, combining the finest amenities, while offering all of the comforts of home. The Baystreet Plantation Home has 4 bedrooms, 4 full baths and 1 half bath. 3020 Sq. Ft., Width 72'-0", Depth 82'-2"
The Beaumont Colonial Home has 4 bedrooms, 3 full baths and 1 half bath. 2631 Sq. Ft., Width 54'-10", Depth 48'-6"
The Evangeline Plantation Home has 3 bedrooms, 3 full baths and 1 half bath. 3218 Sq. Ft., Width 66'-8", Depth 63'-0"
The Mossy Point Plantation Home has 4 bedrooms, 3 full baths and 1 half bath. 2297 Sq. Ft., Width 49'-4", Depth 39'-6"
The Nelson House Plantation Home has 3 bedrooms, 2 full baths and 1 half bath. 2044 Sq. Ft., Width 34'-6", Depth 72'-6"
The New Iberia Plantation Home has 3 bedrooms, 3 full baths and 1 half bath. 3480 Sq. Ft., Width 67'-10", Depth 64'-4"
The Francisville Plantation Home has 4 bedrooms, 3 full baths and 2 half baths. 3728 Sq. Ft., Width 89'-4", Depth 60'-0"
The Verandas Plantation Home has 4 bedrooms, 4 full baths and 2 half baths. 5564 Sq. Ft., Width 124'-4", Depth 79'-3"
Find beautiful Plantation house plans, with detailed floor plans to help you visualize your dream home at House Plans and More. With such a wide selection, you are sure to find a plan to fit your own style. 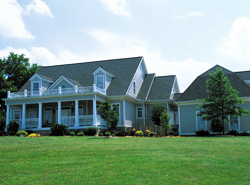 Check out House Plans and More for our selection of Plantation home plans that you are sure to love.